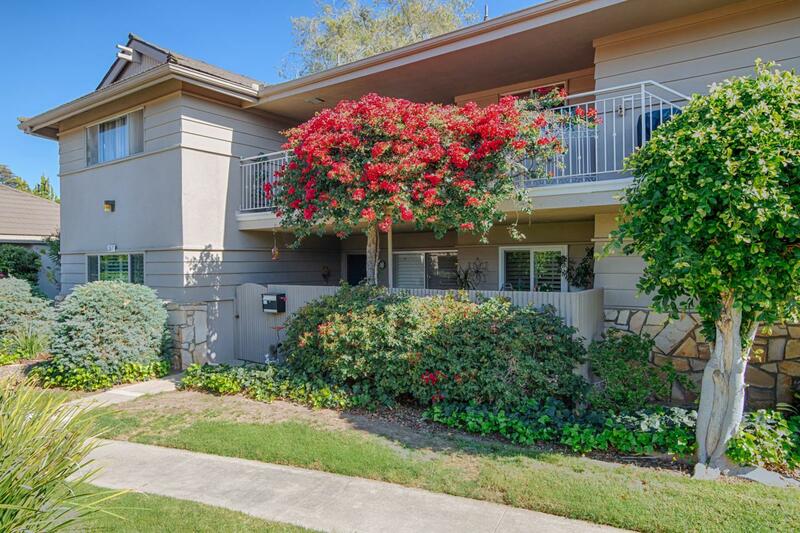 Ground floor end unit on the golf course with fantastic mountain views! Across from the clubhouse & pool! 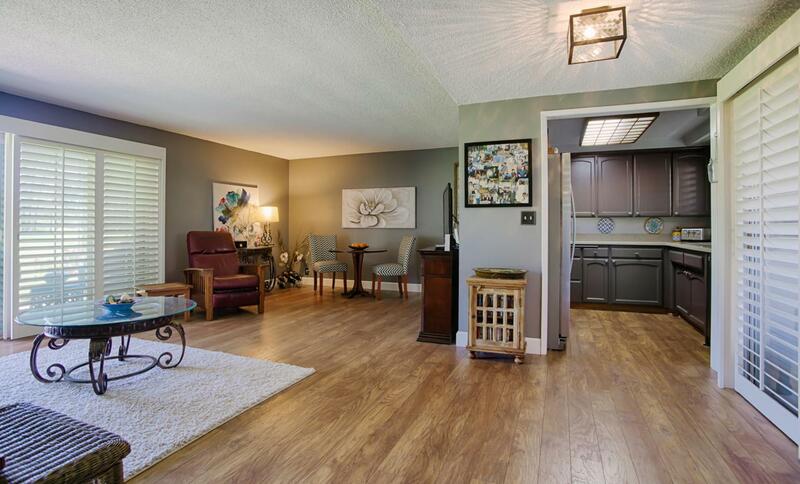 Beautifully remodeled and updated! 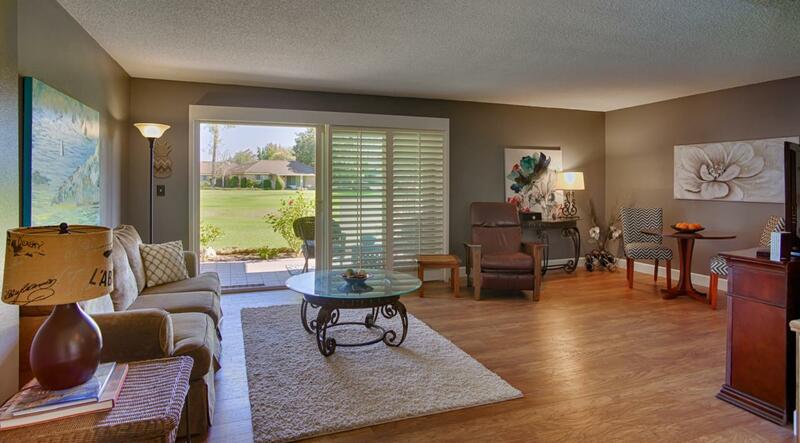 Spacious living room with sliding door to covered view patio. Dining area. Kitchen with newer appliances, cabinets & cupboards and counters. Both baths remodeled in 2017 with custom vanities, granite counters, and tiled shower. Newer washer & dryer. New flooring throughout. Dual pane windows in bedrooms and kitchen. Plantation shutters. 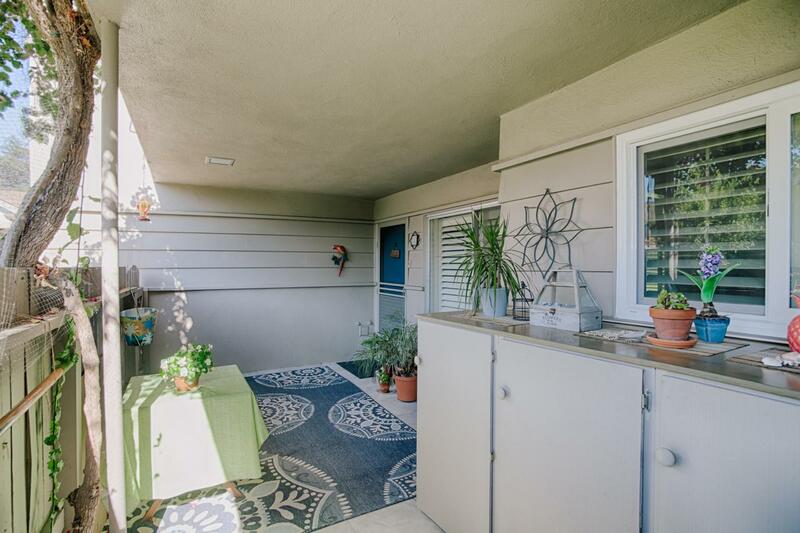 Covered front patio. For adults 55+, with clubhouse, gym, pool, golf course and wood shop. Close to Calle Real and Fairview shopping. This unit has a garage! Sought after view location!